Supported by the Michigan Council for Arts and Cultural Affairs and the National Endowment for the Arts. Refreshments sponsored by Pomeroy Living Rochester. Sip a cup of tea while enjoying a slice of history. 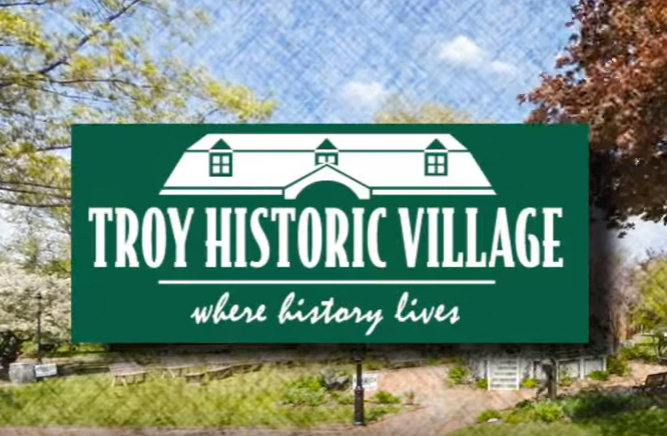 Featuring a different speaker and history topic each month, this popular lecture series takes place inside Old Troy Church at the Troy Historic Village. Tea and cookies are provided; bring your own teacup and saucer, if you wish, or use our disposable products. Programs start promptly at 2:00 pm and last about one hour. We recommend you arrive at the Village for Thursday Teas no later than 1:45 pm. See below for this season’s program offerings and ticket pricing, as well as answers to some frequently asked questions. If you would like to see videos of past Teas, please visit our Resource Tab/Videos. Often called the Rose Capital, Mount Clemens was one of the centers of the rose growing industry in the United States, and the largest producer of roses in the state. One of the most successful was the Weiss Family’s Mt. Clemens Rose Gardens, with a half a million rose plants in production at one time. Lynn Anderson and Micki Weiss will detail the rich history of this historic industry and the prominence of the Weiss Family in it, including their employment of Japanese-American families from the internment camps of World War II. I’ve never been to a Thursday Tea program before! What can I expect? An entertaining and informative program presented by a knowledgeable speaker, as well as a variety of teas and cookies to choose from. Thursday Teas make great social outings for your club, group, friends and family members, too! Teas begin promptly at 2:00 pm last about one hour. Can I purchase tickets in advance? Yes! It is best to purchase your tickets in advance as these programs can sell out. 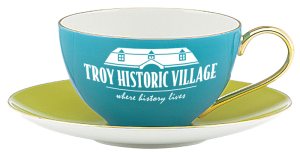 Call the Village Gift Shop at 248-524-3570 to purchase over the phone with credit card or stop by during regular hours. Can I purchase tickets at the door? If the program has not sold out in advance, tickets will be available for purchase with cash or check at the door. Advance purchase is highly recommended; see above. If I purchase tickets and my availability changes, can I return or exchange them? All Tea ticket sales are final. Entry into our Teacup Prize Drawing! Where do I park my vehicle? The Village has free, onsite parking to the east and west of our main building (60 W. Wattles Road). If you know someone else who is attending, it’s a great idea to carpool, as parking is limited. Overflow parking will be behind the Village on Lange Road. We suggest arriving no later than 1:45 pm; this gives you time to find a parking spot, make your way to the church and grab some tea and cookies before the presentation begins. Where is the Tea program held? Teas are held in Old Troy Church on our site. Built in 1837, the Church now features modern heating, cooling and restroom facilities. How far from the parking lot is the Church? The Church is a few hundred feet from the parking lot, accessible by a paved pathway. Is the Church handicap accessible? Yes, the Church is handicap accessible. What about heat/air conditioning? Restrooms? Yes, the Church features modern heating, cooling and restroom facilities. Is this a ‘high tea’? Nope! It’s more like a buffet: you collect your own teabag, hot water and cookies, then take a seat in the church pews. Do I have to bring my own teacup and saucer? Nope! Many guests bring their own teacup and saucer, but we do provide Styrofoam cups and paper plates for your use. I have a great idea for a speaker! Will you book him/her? We might! 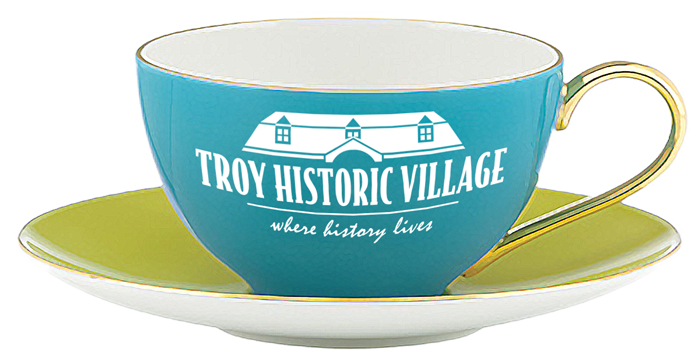 Email the Village at info@thvmail.org with your speaker’s name, topic and where/when you heard them speak—we might be able to bring them to the Village for a future program. Put “Thursday Tea Speaker” in the subject line for quickest response. Who can attend Thursday Teas? Thursday Teas are especially geared toward adults and seniors. Have a little guy or gal? See our Cheddar’s Preschool Story Hour program page! Is your guy or gal a little older? Check out our Scouts & Scholars and Homeschool Happenings programs! Is photography allowed? Can I record presentations? Photography is allowed, but please be mindful not to disturb your neighbors in the audience. Video recording of Thursday Tea programs is not permitted. I am interested in sponsorship opportunities for Thursday Teas. Who should I contact? Please get in touch with our Adult Programs & Services Director at apd@thvmail.org to discuss details, including sponsorship levels.